I can’t stop looking through Darrel’s pictures! I wanted to share the highlights with you… who doesn’t love great before and after photos?! Darrel is a wonderful example of why I love my job and this case really helps show off why I love continuing education. 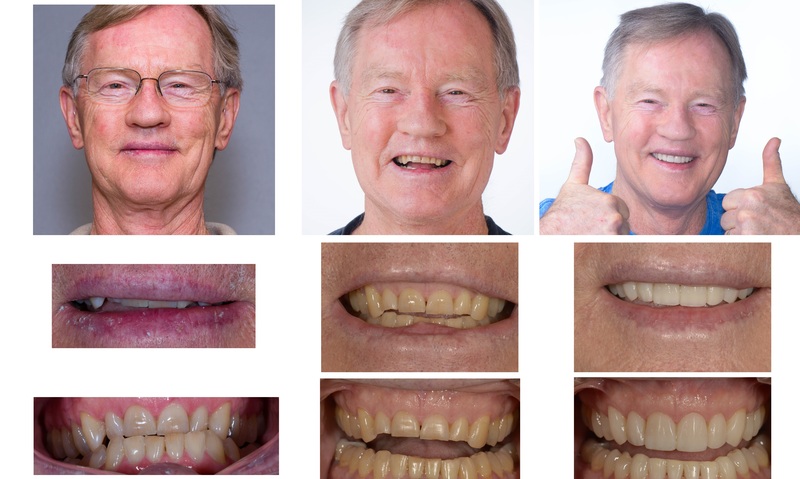 With advanced treatment planning skills, collaboration with our excellent orthodontist, and –MOST IMPORTANTLY– our AMAZING patient, I was able to restore Darrel very conservatively with six composite veneers. 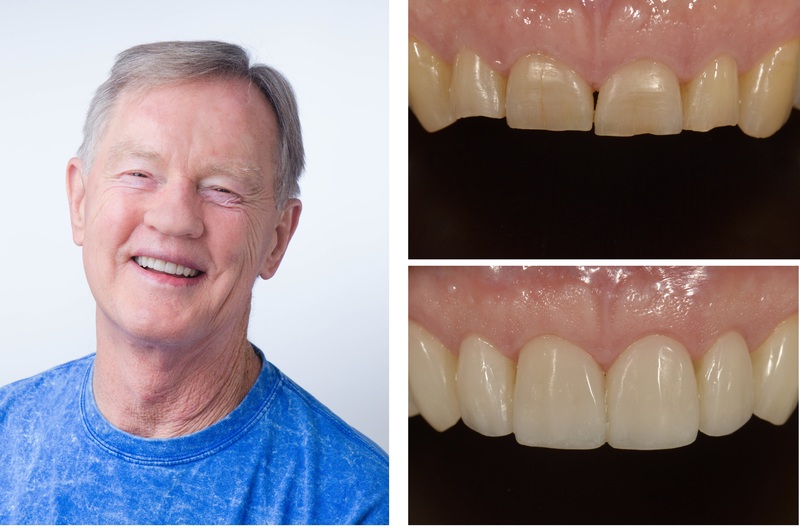 I love composite so much because it allows me to do beautiful dentistry without grinding away natural tooth structure, which is typically necessary for porcelain veneers or crowns. Thank you, Dr. Larry Weddle, for your beautiful orthodontic work! And thank you, Darrel, for your excellent attitude, perfect home care, and commitment to doing the right thing for your mouth.